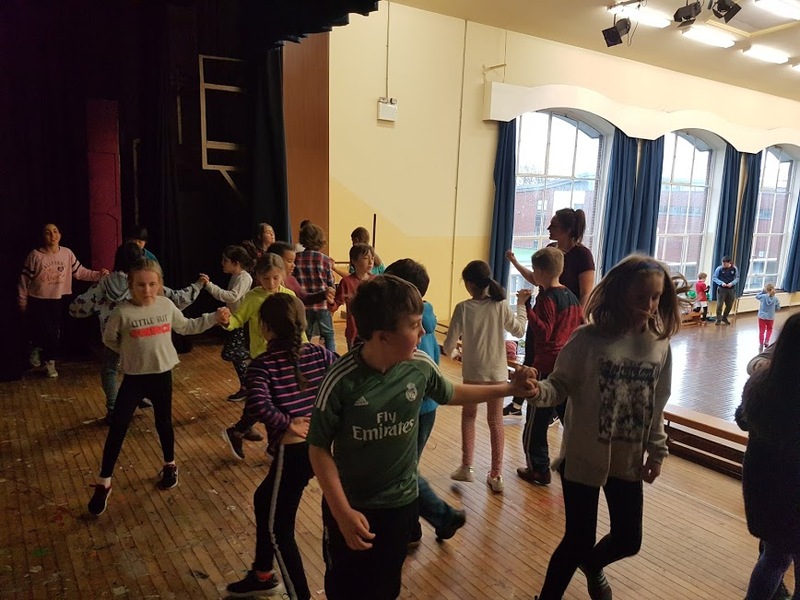 For 2 Wednesdays, 4th Class did Irish Dancing with their teachers Sarah and Aongus. The dances they did were “Shoe the Donkey” and “The Siege of Ennis”. Then 4th Class decided to do only “The Siege of Ennis” with 3rd Class and Junior Infants too. 1st Class and 2nd Class did “Shoe the Donkey. Second Class also did ‘The walls of Limerick’. There was one practise with 3rd before the show. Everybody did brilliantly!